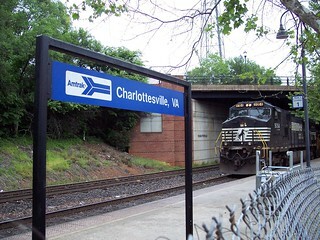 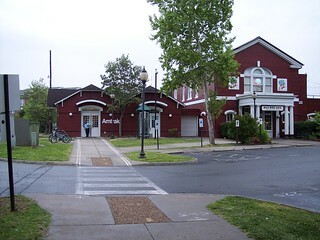 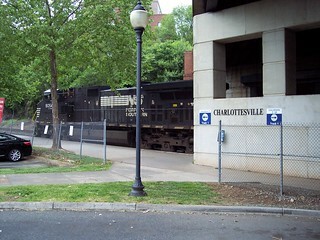 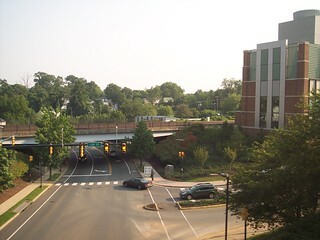 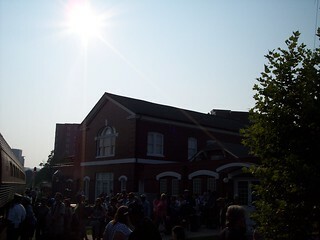 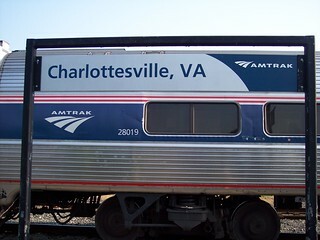 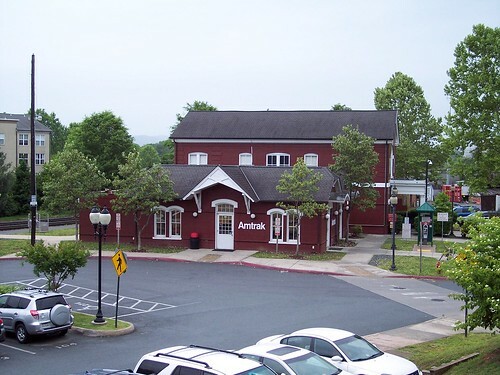 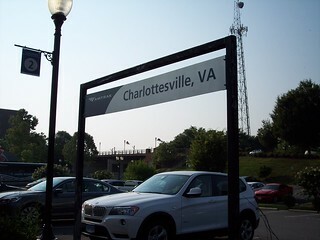 The Amtrak station in Charlottesville. 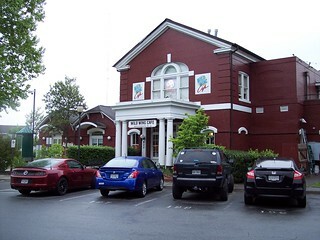 This was a Union Station. 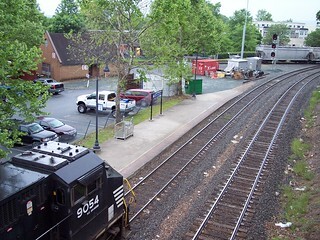 Here we see a Norfolk Southern freight on the former Southern Railway waiting for a CSX freight on the former C&O. 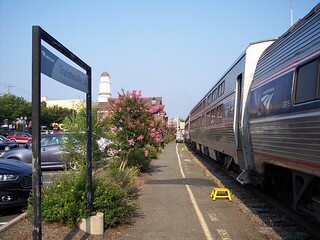 The platform used by the Crescent with the waiting Norfolk Southern and the Cardinal making a station stop on the other platform. 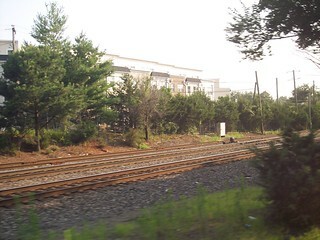 Just west of the station we see the tracks that head southwest toward Greensboro. 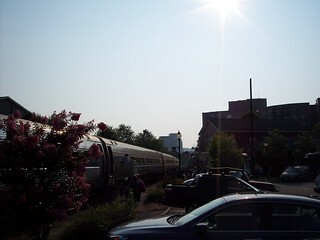 Crozet C&O Charlottesville Main St. Sta.